Two graffiti artists stumble upon a sinister scientific facility. There is a place for this type of horror movie. Grotesque and polarising, gross-out horror is its very bread and butter. The people who embrace it seem to see their love and enjoyment of it as a badge of honour. Similar to the people who watch films that are on the banned list, they like to talk about their enjoyment of things that other people would find repellent. Though I enjoy down and nasty gritty horrors, I’m not so much a fan of the gross out horror sub genre; the lack of scares but added goo and slop leaves me a little cold. 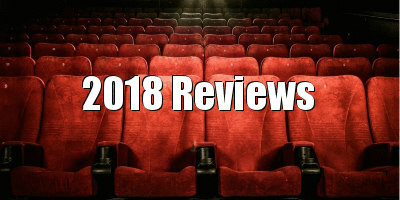 So perhaps bear this in mind as you read my review; if you favour films such as The Greasy Strangler or House of 1000 Corpses this may be exactly the kind of film you love, especially if you can overlook the more ‘budget’ aspects of this film. Set in an abandoned hospital (or not so abandoned, as it transpires), the film opens to a close up of someone making a cup of tea in real time on a Bunsen burner. Not exactly riveting stuff but that’s the tone of what you’re about to see, i.e. a shambling storyline that speeds up and slows down at odd times and a focus on small fetishistic details that actually do help add texture to the somewhat lacking art direction. Two scientists (Hal Schneider as Grist and Mary Anzalone as Kriegspiel) are looking excitedly at a mince-meat squirting brain as if it were the new messiah, and you just know things aren’t going to get any more sophisticated than this. The day-glo strobing credits with '80s synth music recall The Neon Demon, but that would unfortunately be the only connection these two disparate films share. In room 204, the scientists tend to a patient who sports crab claws and is apparently hungry. They satiate her with what looks like blueberry thickshake but I’m suspecting something slightly more sciencey. Clearly this is no ordinary hospital, what with all the slime, gunge and hybrid humans. We are introduced to two graffiti artists who are into haunted buildings as "art spaces." They’re named Haircut (Devyn Placide) and Kish (Ruby Lee Dove II, who inexplicably has a moustache drawn on her upper lip). There’s even an extended dance sequence where a creature patient called Mr Sacks in a goo-ed up garbage bag and masking tape ensemble cuts the rug to some '80s New Romantics tune. Meanwhile the graffiti artists are preparing to have a cheese and wine opening art night at the hospital that evening as they assume it’s empty and haunted. They’ve invited all the hoi poloi and are hoping for a rich turn out. Things turn even stranger when a voice from the mop bucket tells the scientists to give up their search for immortality and uses an animated flashback to reinforce her motivations for this demand. Apparently the voice belongs to a sea god who lives in their mop bucket, and she can shoot lightning at the scientists when she’s displeased. The subsequent animated interlude about a ghost turtle is absurdly sweet even though it’s rudimentary at best. Once the god is released from the bucket (I’m unsure why or how) she unleashes her vengeance upon them all. Written and directed by Jim Hickcox, the otherness of this movie cannot be downplayed. I understand that it's embracing the wacky but it feels too much like Hickcox is just toying with our patience rather than making stylistic choices to benefit a story. The only thing I really enjoyed was the music and Mr Sacks’ dancing interludes. Like very early Peter Jackson movies or The Human Centipede 2, this is odd, grotesque and shrill. At just over 70 minutes but feeling much longer, this is way too ugly for my tastes and when it’s done this shabbily there’s little to enjoy unless you’re into amateur cheese. Either way, this is just not my idea of horror. Some of the lighter humour lands and works well but all in all this is a fail for me. 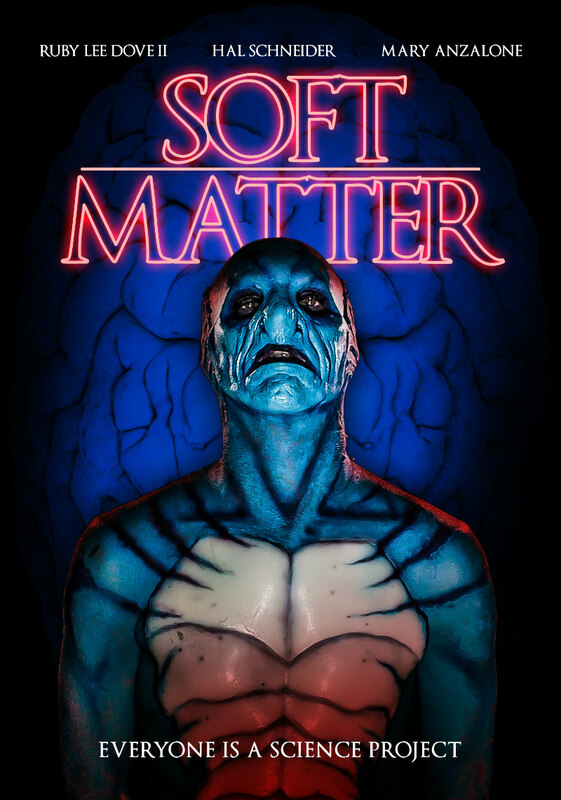 Soft Matter is on VOD May 22nd.